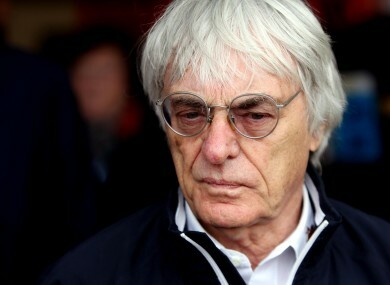 Intelligent Transport Solutions Ltd have held preliminary talks with Bernie Ecclestone. PROPOSALS FOR A Formula One circuit in and around the London Olympic Stadium are now under consideration as one of four proposals for the post 2012 future of the venue. An LLDC statement read: “Following an extension to the bidding period, the Legacy Corporation can today reveal it has received four bids for the venue. The future of the stadium, which is set to include a permanent athletics track, should have been decided by now but was instead plunged into uncertainty in October when the original decision to name West Ham as tenants was challenged by Premier League Tottenham Hotspur and lower league club Leyton Orient. Barry Hearn, the outspoken chairman of third-tier Orient, has been a vocal critic of the Olympic Stadium’s suitability for football. “There is no point dwelling on the design of the stadium and the faults of the stadium,” Hearn told the BBC. “We have to get on with it, we have to make a fist of it and we have to make sure the Government and the people of this country get maximum value for the investment that has gone into the Olympic Stadium. “Our idea does that, and I think it forms part of a legacy people in this country can be proud of. “Bearing in mind this is the only time in our lifetime we are ever going to hold the Olympic Games, we need to get something out of it. Email “London 2012: Formula One track among Olympic stadium options”. Feedback on “London 2012: Formula One track among Olympic stadium options”.